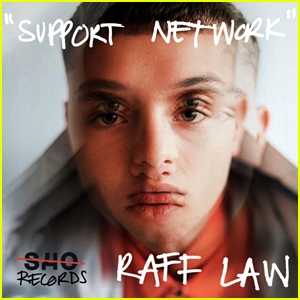 Raff Law: 'Support Network' Stream & Download - Listen Now! Raff Law is making moves in the music industry! The 21-year-old musician, model and son of Jude Law and Sadie Frost just dropped a track called “Support Network” on Monday (October 24), which you can listen to right here. “It’s been a long time comin n I’m very happy to share my new single ‘support network’ with everyone ! Go check it on Spotify and Apple Music ⚡️Hopefully it livens up your Monday a tad,” Raff wrote on his Instagram. Listen to “Support Network” below! You can also download the song on iTunes. Brandon Thomas Lee shows off his chest tattoo while wearing a jacket and no shirt at the Tommy Hilfiger show during London Fashion Week on Tuesday (September 19) at the Roundhouse in London, England. The 21-year-old model was joined on the carpet by his girlfriend Pyper America Smith. 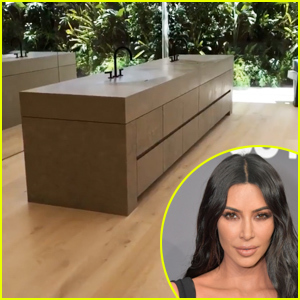 Some of the other stars at the event included social star Cameron Dallas, singer Justine Skye, actress Coco Konig, race car driver Lewis Hamilton, and models like Jasmine Sanders, Lara Stone, Toby Huntington-Whiteley, and Pietro Boselli. British stars like Daisy Lowe and Poppy Delevingne, as well as mother-son duo Sadie Frost and Rafferty Law, were also there! Iris Law Stars In Burberry Beauty Liquid Lip Velvet Campaign! Iris Law is starring in her first ever global campaign for Burberry Beauty! The 16-year-old rising model and daughter of Jude Law and Sadie Frost is the face of the new Liquid Lip Velvet matte cream color range. “Iris has an infectious creative energy and a wonderfully authentic British attitude which shines through not only her personal style but her character and confidence too. She is a pleasure to work with and I’m very excited to be collaborating with her,” Christopher Bailey, Burberry Chief Creative and Chief Executive Officer, said. Jude Law's Son Rafferty Supports Mom Sadie Frost at Her Premiere! Rafferty Law steps out to support his mom Sadie Frost and her film Buttercup Bill at Curzon Soho on Tuesday (September 1) in London, England. The 18-year-old model is the eldest son of Sadie and Jude Law! Also in attendance at the premiere were Josh Hartnett and his pregnant girlfriend Tamsin Egerton, who covered up her baby bump in a white flowing dress, along with writer/director Emilie Richard-Froozan. Buttercup Bill is set to be released in the UK this Friday (September 4). Be sure to check it out if you live in the area! Jude Law's Model Son Rafferty Is All Grown Up! Jude Law makes his way through LAX Airport to catch a flight out of town on Friday (April 24) in Los Angeles. The 42-year-old actor’s eighteen year old model son Rafferty was seen out that same evening with his mom (and Jude‘s ex Sadie Frost). The pair attended Collette Cooper‘s party to preview songs from her upcoming album City of Sin at The Groucho Club in London, England. Jude is currently promoting his new film Spy, which also stars Melissa McCarthy, Jason Statham, Rose Byrne and more. The movie hits theaters on June 5, 2015.